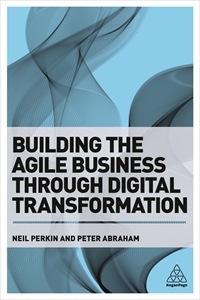 Key themes include digital transformation, organisational agility, structures, digitally-native organisational culture, processes and practices, digital marketing and content. I have years of experience in helping a wide range of organisations transform or adapt to be truly fit for purpose in a digital-empowered world. Consulting clients include The Daily Telegraph, Oxfam, Macmillan and Warner Bros. I am an experienced workshop leader and facilitator, so whether you're looking to generate new value, open up new thinking, take a step change in what you're doing, define a new strategic direction or simply refine an existing one, I can suggest a bespoke format and process that will achieve your objectives. I regularly run sessions at the most senior level with large, multinational corporations focusing on digital leadership, organisational agility, multichannel and digital marketing. I've run workshops with clients as diverse as GSK, LEGO, Johnson & Johnson, Richemont, Samsung, L'Oreal, the FT, and Hyper Island. For more on the workshops I run contact me. I'm a keynote speaker on the Google Squared programme and a regular conference speaker across Europe on organisational agility, digital transformation, content strategy, emerging media, and digital strategy. Speaking events have included The Future of Digital Marketing (London and Malaysia), Martech Europe, CAMP Lima Peru, Aerials Toronto, Learnfest, The Phare Conference, The Festival of Marketing and Internet Hungary. I've also spoken at various in-company events including ones for Direct Line, Samsung, Beattie McGuiness Bungay, WCRS, and the Content Marketing Association. You can see some of the recent events I've spoken at here, or contact me direct for more information about engaging me to speak. I curate the highly successful and well known series of Google Firestarters thought-leadership events (now in it's sixth year) and have also curated Dots Conference, working with the folk at Brilliant Noise. I work with Econsultancy to run their enterprise-level digital trends service, called Digital Shift. I also provide consultancy services around the interpretation and application of emerging trends and digital technologies. The best form of marketing is word of mouth, so it's important to me that my clients feel that they can recommend me. Where appropriate, I also often work with other likeminded and smart consultants with complimentary skills in order to faciliate and deliver specific projects in the optimal way. Your situation is unique to you, and so my charges are worked out to your precise requirements. If you'd like me to quote on a project for you, drop me a line. For more details on how I can help your business, please contact me.